syn solitude, isolation, seclusion mean the state of one who is alone. solitude may imply a condition of being apart from all human beings or of being cut off by wish or circumstances from one’s usual associates 〈a few quiet hours of solitude〉. isolation stresses detachment from others often involuntarily 〈the isolation of the village in winter〉. seclusion suggests a shutting away or keeping apart from others often connoting deliberate withdrawal from the world or retirement to a quiet life 〈lived in pastoral seclusion〉. All day long he stayed with me. 1:35 Jesus rose a long while before daylight and went out to a place where He would be free from distraction and spend time in prayer. The Servant of Jehovah opened His ear each morning to receive instructions for the day from God the Father (Isa. 50:4, 5). If the Lord Jesus felt the need of this early morning quiet time, how much more should we! Notice too that He prayed when it cost Him something; He rose and went out a long while before daylight. Prayer should not be a matter of personal convenience but of self-discipline and sacrifice. 1:35. Despite a full day of ministry (vv. 21-34), Jesus got up the next morning very early, before daybreak (about 4 a.m.) and went out to a solitary (erēmon, “uninhabited, remote”) place (cf. v. 4) where He spent time praying. He withdrew from the acclaim of theCapernaumcrowds to a wilderness place—the kind of place where He initially confronted Satan and withstood his temptations (cf. vv. 12-13). Mark selectively portrayed Jesus at prayer on three crucial occasions, each in a setting of darkness and aloneness: near the beginning of his account (v. 35), near the middle (6:46), and near the end (14:32-42). All three were occasions when He was faced with the possibility of achieving His messianic mission in a more attractive, less costly way. But in each case He gained strength through prayer. *This is what I try to model. 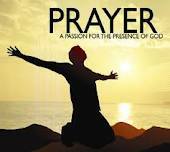 I love getting up early in the morning (4:30am) and spending time in prayer. I feel a great sense of closeness to God and I can pour my heart out to him without any distractions. I can focus 100% of my attention to Him. I am also able to hear the Lord speak to me in wondrous ways. Depend on God for the results.